Bhaktimarga Swami's Walk Featured on ISKCON News ~ The Toronto Hare Krishna Temple! 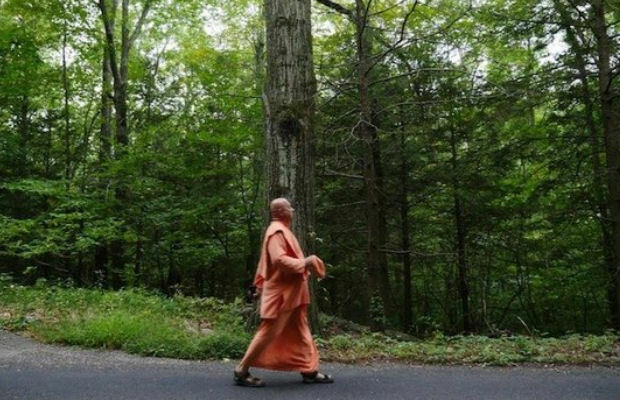 Bhaktimarga Swami has been on a walk through the United States of America, as part of our international movement's honouring Srila Prabhupada's arriving in America 50 years ago! Check out the article below! 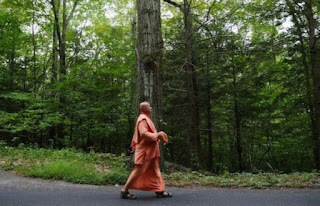 Bhaktimarga Swami has become famous as “The Walking Monk” from his treks on foot four times across his native Canada, as well as across Ireland, Israel, Fiji, Mauritius, Guyana and Trinidad. On each walk, he shares his message of reconnecting to a simple, natural, and God-conscious life with the media and locals along the way. The Swami’s current walk, however, may mean the most to him on a personal level. Dubbed “Walking for our Teachers,” its theme is to honor all teachers in a broad sense—but in a more specific sense, Bhaktimarga’s own guru.